I find a single unoccupied seat next to a couple treating themselves to an early dinner (or is it a late lunch) while Christmas shopping. I order a Pizza Boy Frontside Lipside DIPA for two bits (that’s $6 in ‘murican) and polish this 10%’er off in minutes. A room of fifty people and growing, all vying for limited quantities of coveted beers can ratchet up the tension and apparently it’s a tension I’m feeling. I untapp my beer (drewsbrewsreviews, ding! ), and pace myself with a Yard’s Russian Imperial. The next hour finds a steady stream of Lancaster’s beer nerds, understanding significant others in tow, asking for a detailed itinerary of how to get the bourbon-aged goodness inside them. During that time, I have a nice conversation with a gentleman beer drinker, 8 years retired from the bottle shop game. We share some thoughts on beer, the growing spectacle around beer releases, and recommend Café Bruge in Carlisle to a bar patron jonesing for Christmas Belgians. 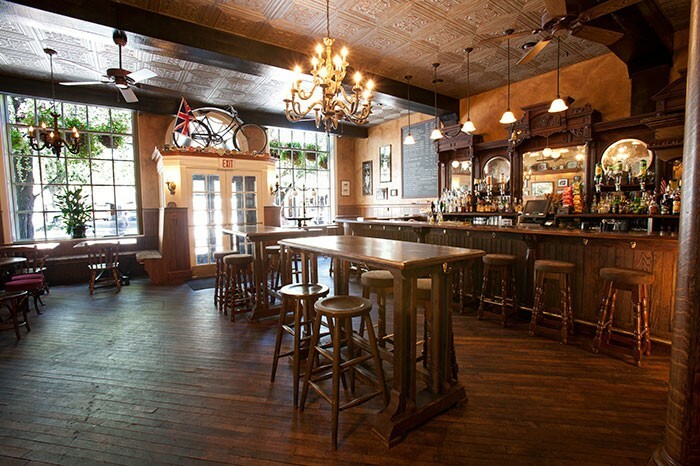 It’s a good talk that abruptly ends when a daytime ring of the last call bell silences the bar. The bartenders announce a first come, first serve format with the line starting at the end of the bar in twenty minutes and a limit of one of each bottle along with a single pour of BCBS. I lean back and look down the bar. The stool in front of the taps, right where the line will begin, is empty. There are a few shifty glances at the clock, but no one moves, like a spooked herd of deer that knows it’s being stalked. I don’t share the feeling and move down to the stool, finding myself in conversation with the gentlemen seated next to it. After some talk, I agree to sell him my Bourbon County Stout bottle as I have a few at home and it’s his favorite beer. When the time nears, everyone merges into a ragged line, snaking across the bar, up a short stack of stairs and through the lobby of the attached hotel. At $35 for a bomber of Vanilla Rye and $14 for the 12 ouncers of BCBS and Coffee, it isn’t cheap. With beers in hand, I step aside and move to an empty table to post a picture of my haul. Looking at the line, it’s clear that tap proximity won the day. Many of the patrons that arrived shortly before or after me missed out on the prized bottles because of where they waited. Handing out numbered tickets as people asked about the event might have been a better way to approach it, but doesn’t matter now. I was able to procure doubles thanks to the timely arrival of my dad, so I decide not to be overly precious with the bottles. Once the initial surge clears out and my friend Chris joins us, we open the Coffee and Vanilla Rye, sharing it with those that didn’t get the chance to buy their own. Here is my experience with these highly sought after beers. 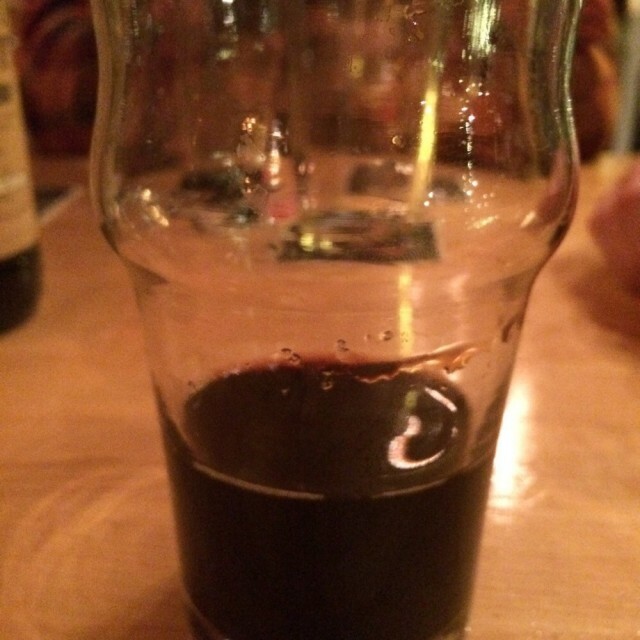 Untappd Comment: Malt, char,dark sugar (carmalized? ), vanilla, butter aroma, syrupy mf, vanilla and huge malty, plum fruits. Heat, but lighter this year. Additional Thoughts: This was the third or fourth time I’ve had BCBS this year, and I don’t have a lot to say about it that hasn’t been said before. It’s one of the favorite syrupy thick, chewy bourbon stouts. The aroma and taste of buttery bourbon, wood, char, chocolate, tobacco, toffee, barley, plum and so on is a yearly favorite. That said, I think I may actually prefer the slightly heavier 2013 version (14.9% ABV). Everything about this beer screams indulgence, from the mouth feel, to the sticky sweet malts, to the heavy hand of bourbon and dark fruit. Backing off these aspects, even a little, seems contrary to the true heart of BCBS. However, my complaint is ultimately the whining of a beer nerd. 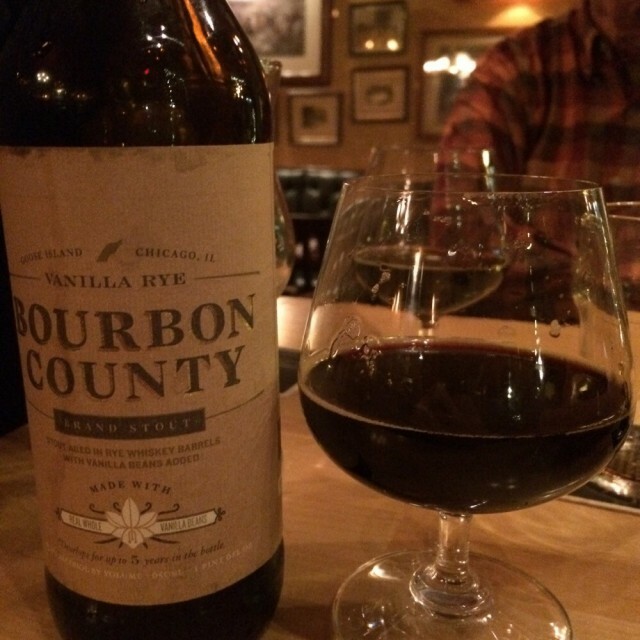 BCBS 2014 is still a rich, bold, heavy-hitter of a stout and gets the essence of Bourbon County right. It’s clear that the BCB series is safe in the hands of Goose Island’s new brew master. Additional Thoughts: The appearance is pitch black as expected. What does surprise is the aroma. A swirl and a sniff finds me covered in a cloud of acrid, acidic coffee bean. As a non-coffee drinker who loves the smell of coffee, it is initially off-putting. Boozy bourbon, rich roast and dark malt linger under the surface, but the dominant, nasal-stinging level of astringent coffee caught me off guard. Giving it time to breath levels out the harshness and settles into a more pleasing and fresh coffee aroma, but the bite remains. At the very least, it promises to be an intense experience. Once I come to grips with the aroma, I give it a taste. Warm, roasty, mapley chocolate, char, burnt/black coffee bean floating in heavy cream with a mouth feel to match. This is everything I want in a barrel-aged stout made better by the perfect, creamy warm coffee addition. Phenomenal, balanced, rich beer that has earned its praise. For me, this goes beyond the hype, fully warranting any and all attempts to get it in your gut, assuming you can handle intense levels of coffee. Extraordinarily good in my mind, but my dad, an avid coffee drinker, didn’t think this quite lived up to the promise. However, when I asked him to name a coffee beer he thought was better, he was stumped. Knowing that I have an extra bottle of 2014 and one from 2013 excites my beer drinking bits at the possibilities. Each year of BCB Coffee is brewed with a different blend of Intelligensia coffee, so 2013 could be even better. Putting a year’s worth of age on it might yield fantastic results, however I didn’t notice huge differences with a year old BCBS I recently had. Untappd Comment: Crazy fresh vanilla, bourbon and brown sugar aroma (wow), flat/tingly, huge vanilla, malt, sticky sweet sugar, but not cloying. Fantastic! Additional Thoughts: First off, you should know that I’m a sucker for vanilla in beer, going as far as to add a few drops of extract to cheap vanilla beers in hopes of kicking it up a bit. No need for that here. The aroma is a two note hit of fresh, wonderful vanilla bean and dark malts. No matter how many times I smell it, I get the same thing, so no need to hold off diving right in. I taste it and revel in the vanilla of it all. In fact, the focus is so vanilla heavy that there isn’t a lot of deep complexity or subtle flavors to find as it warms. This is just straightforward vanilla deliciousness from the get go and I can appreciate that. Even the rye, typically a strong, assertive feature of a beer, falls to the vanilla’s might. The rye and spicy whiskey does break through and surface on the finish, but the flavors are fleeting. No doubt this is a great beer and one I can’t wait to have again. Vanilla Rye is just shy of perfection to me due to lacking deeper character and the fact that I had the more impressive Coffee stout first. If you like huge, sweet, brown sugar and sticky warm vanilla beers (like I do), this is an absolute must. Those that just dabble in porters and the occasional stout may or may not enjoy this, but the high cost of entry is likely to be a deal breaker. 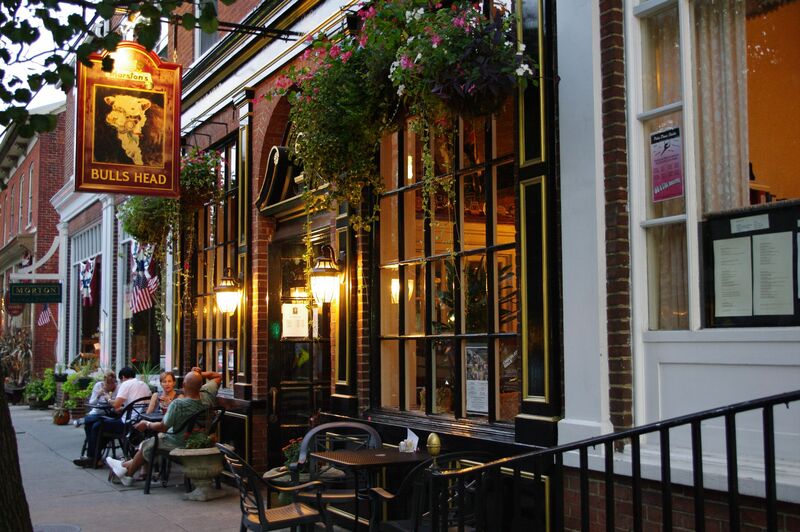 As far as I know, this is the first time that the Bulls Head held a major, public bottle release event on this level. Although it made for an odd atmosphere in the bar prior to the actual release, the event went well thanks to on point bartenders and well-behaved patrons. There’s room for improved fairness on future bottle releases, but it’s hard for me to complain given the results. 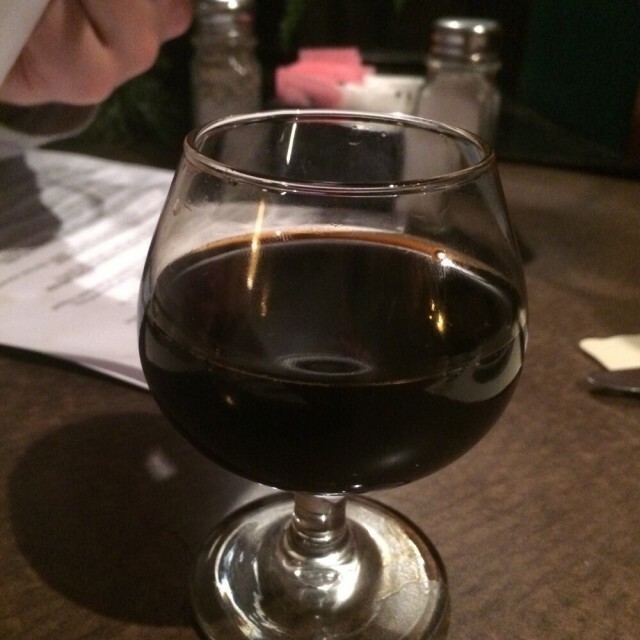 As for the beer, if you’ve ever had BCBS, you know how you feel about it. The Coffee and Vanilla Rye just add delicious layers to that already tasty, sweet, boozy-thick stout. The Coffee opened my eyes to what a coffee beer could be and probably moved into my personal top 5. I do have a beer coming that some say dethrones BCB Coffee and I have yet to sample Toppling Goliath’s Kentucky Brunch or Mornin’ Delight, but until then, this is my reigning coffee beer champ. While I did find the Vanilla Rye to be disappointingly simple given the hype and price point, I can’t think of a beer that features fresh vanilla better. I’m a big fan of complexity and subtleties, but I’m an even bigger fan of what the Vanilla Rye does, providing a creamy thick vanilla beer that finishes with a delectable hint of warming spice. I think it was worth trying at $35 and I’m glad to have an extra for aging, but I’m not sure I’d pop for a third. 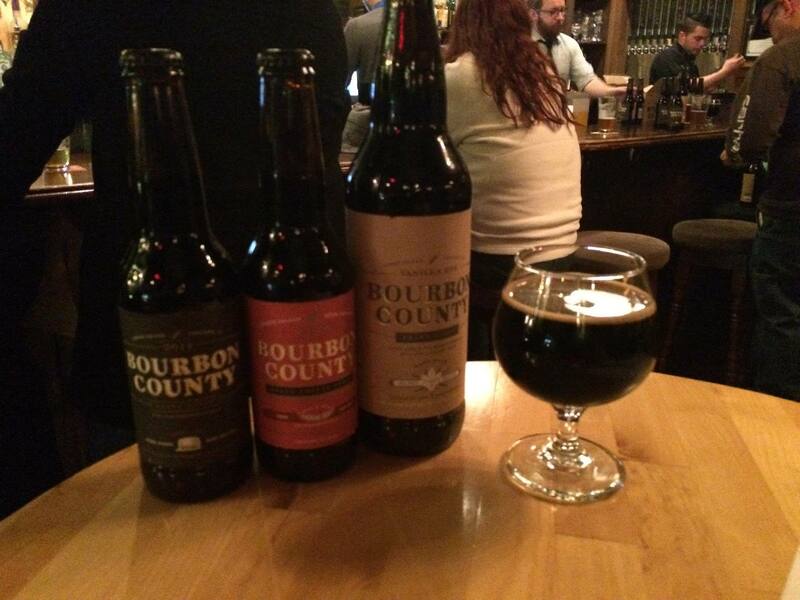 All-in-all, another great year for Bourbon County even if the hype/cost ratio is getting a little out of hand. I’ll be interested to see if next years versions of BCB will continue to test the cost limits of what the market will bear. I realize that the markup is up to the individual bar, but there was no shortage of people ready to pay the asking price, no matter how high. So far, it seems we haven’t found the ceiling.